The Green New Deal seems to embrace the anti-beef and dairy industry sentiment of the environmental left. Green New Dealers want to remake American society, including how to produce and eat food. “I think it’s pretty clear they want to change people’s consumption habits,” said one economist. The Green New Deal isn’t just a climate change manifesto targeting U.S. energy, it also looks to drastically change how food is produced and, ultimately, what Americans eat. “I think it’s pretty clear they want to change people’s consumption habits,” Nic Loris, an energy economist at the conservative Heritage Foundation, told The Daily Caller News Foundation. 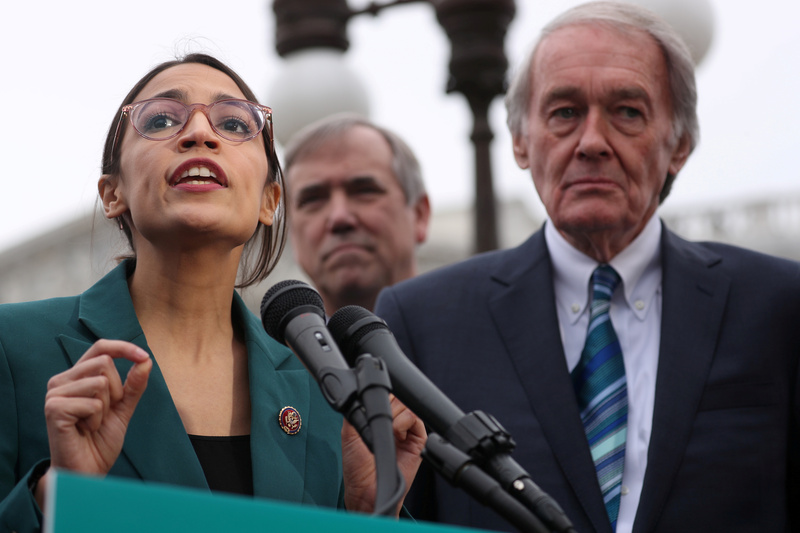 New York Democratic Rep. Alexandria Ocasio-Cortez and Massachusetts Democratic Sen. Ed Markey introduced highly anticipated Green New Deal bills in early February, calling for “net-zero” greenhouse gas emissions within 10 years through a radical transformation of America. The bills also call for a slew of new social justice and welfare programs totally unrelated to global warming. The accompanying FAQ’s reference to eliminating “farty cows” sent ranchers into a panic, fearing Democrats were taking aim at their livelihoods. Environmentalists have targeted the beef industry for years, and concern over methane only gave activists more ammunition. “Farty” was eventually deleted — in fact, most of the methane cows emit is from burping, not farting. The entire gaffe-riddled FAQ was eventually taken offline by Ocasio-Cortez’s staff amid the ridicule. U.S. Rep. Alexandria Ocasio-Cortez and Sen. Ed Markey hold a news conference for their proposed “Green New Deal” to achieve net-zero greenhouse gas emissions in 10 years, at the U.S. Capitol in Washington, U.S. Feb. 7, 2019. REUTERS/Jonathan Ernst. The Obama administration, in fact, used a similar rationale to impose a de facto ban on new coal plants. The Obama Environmental Protection Agency (EPA) essentially ruled the best way to reduce emissions from coal plants was to, well, use natural gas or renewables. Loris said the Green New Deal seems to endorse the long-held disdain for industrial agriculture harbored by the environmental left, especially when it comes to beef and dairy operations. The resolution even calls for policies to encourage small-scale, “sustainable” farming. Does that mean they want the whole country to go local and organic? Ted Nordhaus, director of research at the eco-modernist Breakthrough Institute, said the bill seemed to push so-called “regenerative agriculture” policies that often include implementing grazing methods to sequester carbon dioxide in the ground. Proponents of “regenerative agriculture” say it would benefit farmers and ranchers, especially for ranchers who finish their cattle on grass. However, claiming that these methods can make beef operations carbon neutral is dubious, Nordhaus said. Cows and other ruminant animals are a major source of methane — a byproduct of their unique digestive system. Livestock and their manure cause about 40 percent of greenhouse gas emissions in the U.S. agricultural sector, according to Breakthrough’s senior agricultural analyst Dan Blaustein-Rejto. So any effort to cut U.S. agriculture emissions would necessitate dealing with cattle and dairy operations. With Ocasio-Cortez claiming humanity only had 12 years before catastrophe, what wouldn’t a concerned climate activist be willing to do? In fact, the 2018 United Nations report behind Ocasio-Cortez’s 12-year-to-apocalypse deadline said “dietary shifts away from emissions-intensive livestock products” as one of the societal changes needed to keep future warming under 1.5 degrees Fahrenheit by 2100. EPA data show U.S. agriculture emissions on the rise since 1990 while the country as a whole has cut emissions largely because of the natural gas boom. Agricultural emissions are mostly increasing because of methane from livestock manure management. Per capita beef consumption peaked in the 1970s, Nordhaus said, mostly over health concerns and innovations that brought down chicken and pork prices. Norhaus said continuing that trend was necessary to further limit emissions. 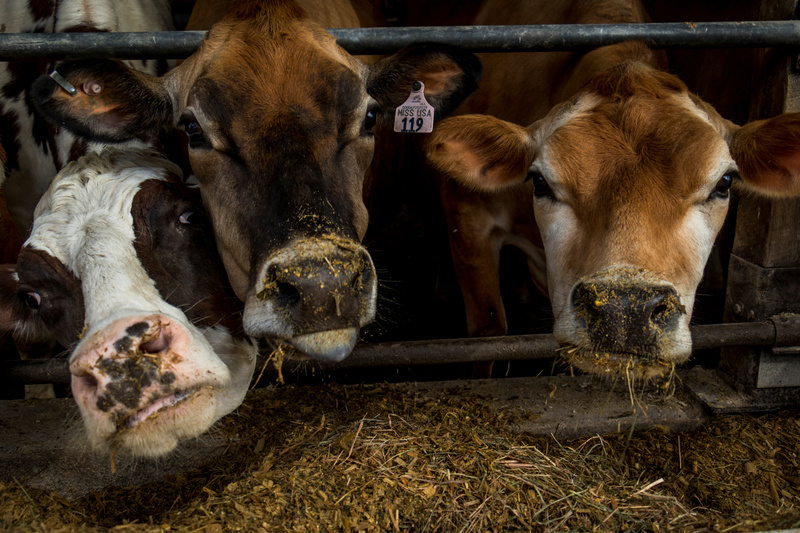 “A Green New Deal that was serious about reducing greenhouse gases from the U.S. agriculture sector would focus on supporting more, not less, intensification and improving the environmental performance of intensive systems through better cattle breeding, medical care, and then dealing with manure ponds and similar,” Norhaus told TheDCNF. However, the Green New Deal resolution seems to suggest the opposite and reflects the environmental movement’s general opposition to industrial farming operations that provide Americans with affordable, abundant food. Democrats and environmentalists that endorse the Green New Deal — every Democratic senator running for president in 2020 cosponsored the bill — tend to oppose large-scale industrial livestock operations. The Organic Consumers Association, which also backs the Green New Deal, calls concentrated animal feeding operations “a disaster for the environment and our health.” The group also seems to oppose industrial-scale agriculture that currently feeds billions of people. “We need stop the industrial overproduction of food — the root cause of agricultural pollution, food waste and greenhouse gas emissions,” Eric Holt-Gimenez, executive director of Food First, told Civil Eats. Likewise, New Jersey Democratic Sen. Cory Booker, who’s running in 2020, railed against “the industrial animal agriculture industry” and its supposedly “devastating” impacts on the environment in a recent interview. However, research by Virginia Tech and the U.S. Department of Agriculture (USDA) found that eliminating the livestock industry would only reduce emissions 2.6 percent domestically, but that shift also came with a host of different health concerns. That 2017 study found that eliminating livestock would deprive Americans of key nutrients and animal proteins, including calcium, vitamins A and B12 and some fatty acids. In fact, people would need higher-calorie diets to make up the nutrient loss. Given everything else about the Green New Deal, including its democratic socialist overtones, it’s got many ranchers worried the resolution is more about changing people’s lifestyles and not just about reducing emissions. 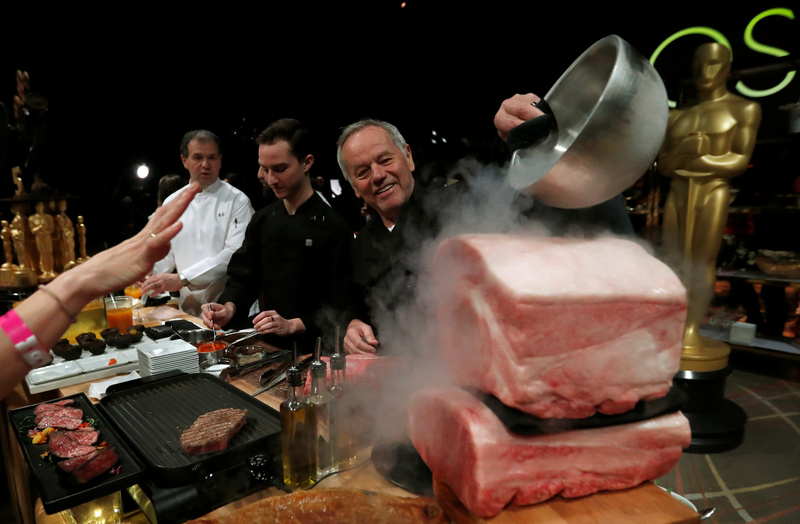 Could Americans see a carbon tax on meat? What about policies against feedlots and other large-scale beef operations? Or what about incentives to eat less beef and more poultry and pork? Pro-vegetarian tax credits? “A carbon tax on meat and dairy would have a hard time making it from economics textbooks into law,” environmental economist Richard Tol said in an email. “I can see them nudging people through tax credits and mandates like they do with energy systems,” Loris said, referring to policies like tax credits for wind turbines, solar panels and energy efficiency upgrades. “When you decide to incentivize one product over another that’s effectively a tax,” Loris said.